*Affiliate links and Press Samples used. Full disclaimer details here. Today’s post is my most favorite type: it’s a collaboration with a bunch of my favorite authentic beauty blogging babes! 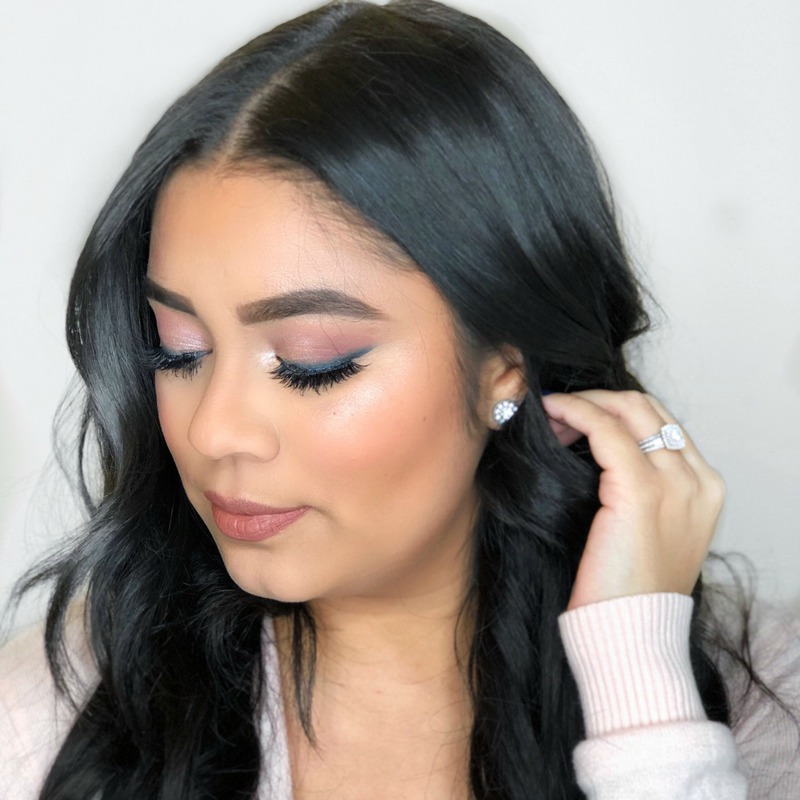 We’ve all joined forces to share our go-to makeup looks to rock on Valentine’s Day, or put together a perfect gift guide for your special someone (or for yourself, because… treat yourself). 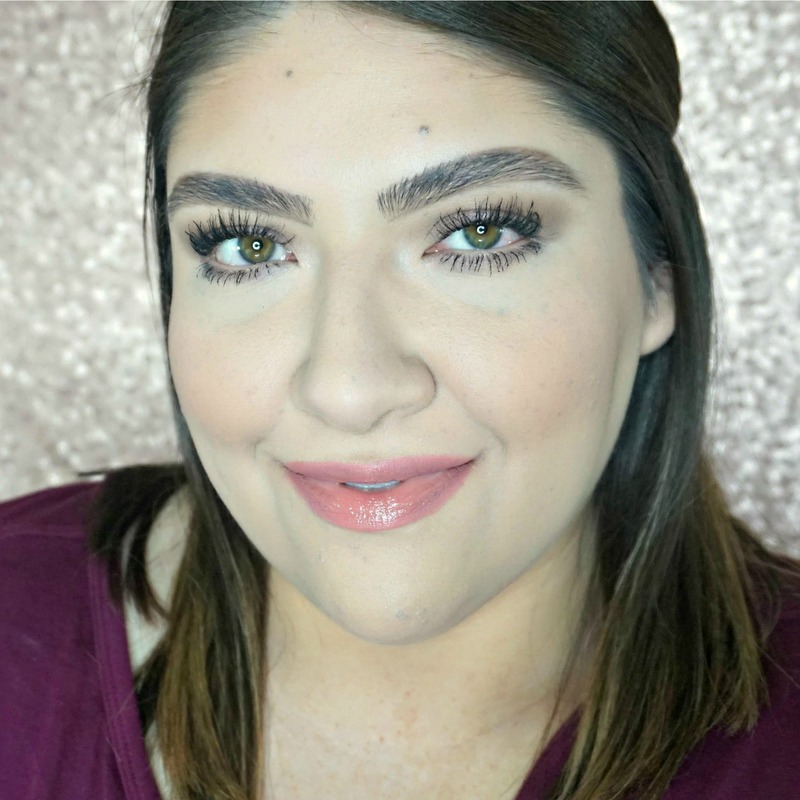 I’m EXTRA pumped because everything in this look (except the lashes and brows) can be purchased at Target/the drugstore – hallelujah, affordable! 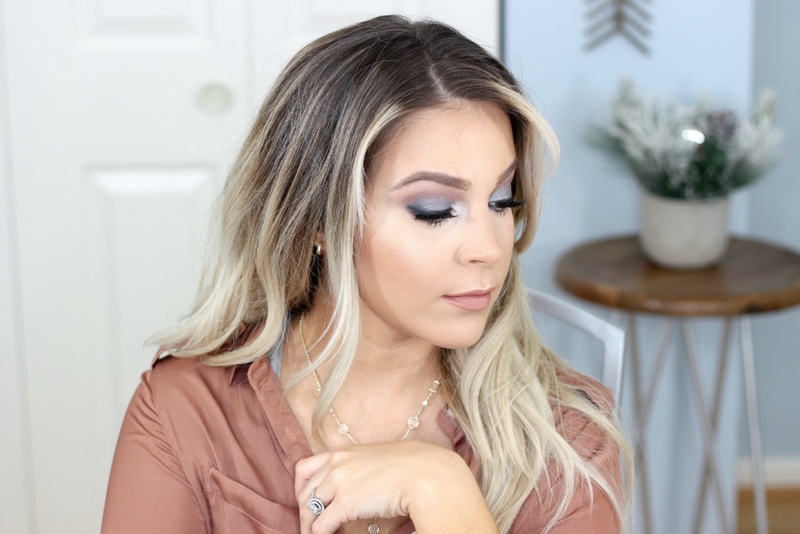 Ready to see what products I used to get this grey smoky eye drugstore makeup look? First of all, you guys are going to die at the new releases from Profusion Cosmetics at Target! I had been eyeing this brand for weeks because their display at my local Target kept expanding each time I stopped by. Full disclosure, Profusion was kind enough to gift me these three kits I used in today’s post. So although this is not a sponsored post, they did send these to me complimentary to try out and give my honest opinion. The packaging looks higher-quality than most, their color selection and combinations remind me of a lot of high-end products, but their price point is incredibly affordable. Take for instance this Smoky Eye palette I used for today’s look. 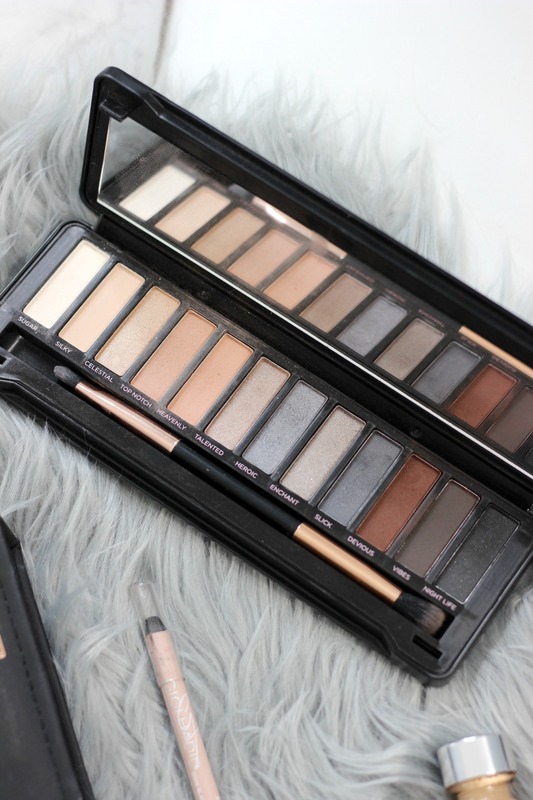 It’s a dead ringer for the (discontinued) Urban Decay Naked Smoky Palette, except this beauty is $6.99! SIX NINETY-NINE! 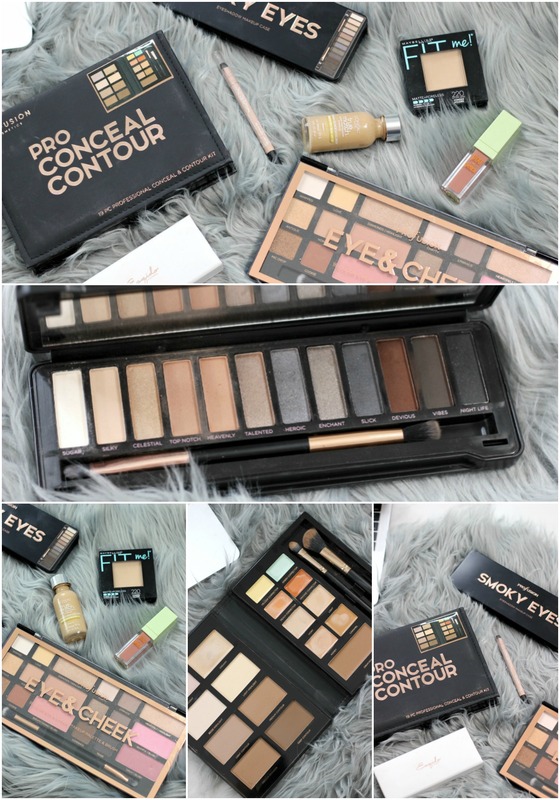 Other items used from Profusion include this perfect everyday Eye and Cheek Palette – that has so many Urban Decay Naked (original) AND/OR Tartelette In Bloom dupes – ($9.99), and the Pro Conceal and Contour Kit ($12.99). All are available now on Profusioncosmetics.com and Target stores, Target.com. 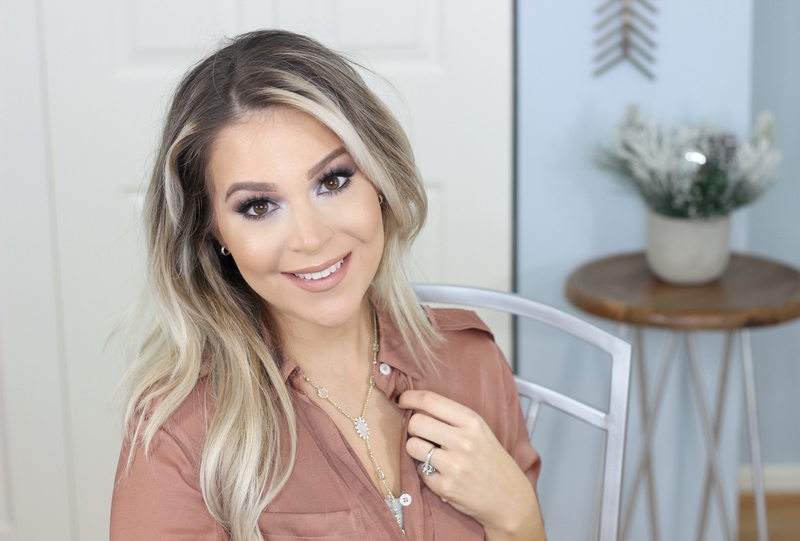 Let me not keep you waiting to find out how I got this sultry, smoky eye using all of my drugstore favorites. 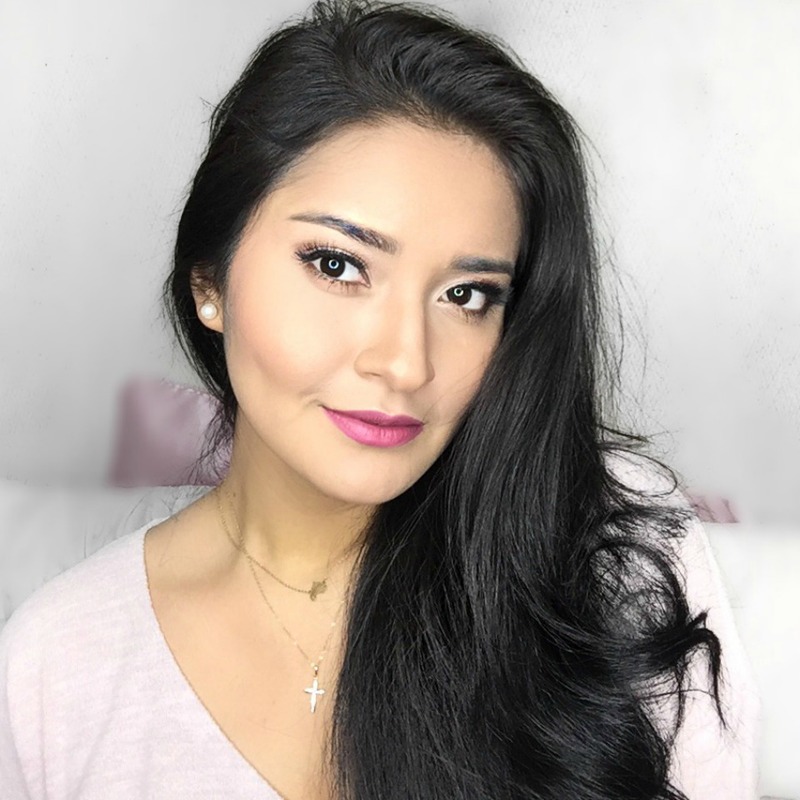 *I applied these stunning ESQIDO mink lashes in the style Lashlorette. They instantly open up a smoky eye so it doesn’t appear as ‘heavy’ as smoky eyes can tend to be. These lashes can be re-used 15-20 times! 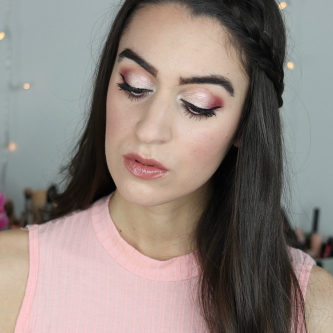 *Only nondrugstore items in this post! Apply foundation of your choice. Keeping with my drugstore theme, I applied my HG L’Oreal True Match in W6. 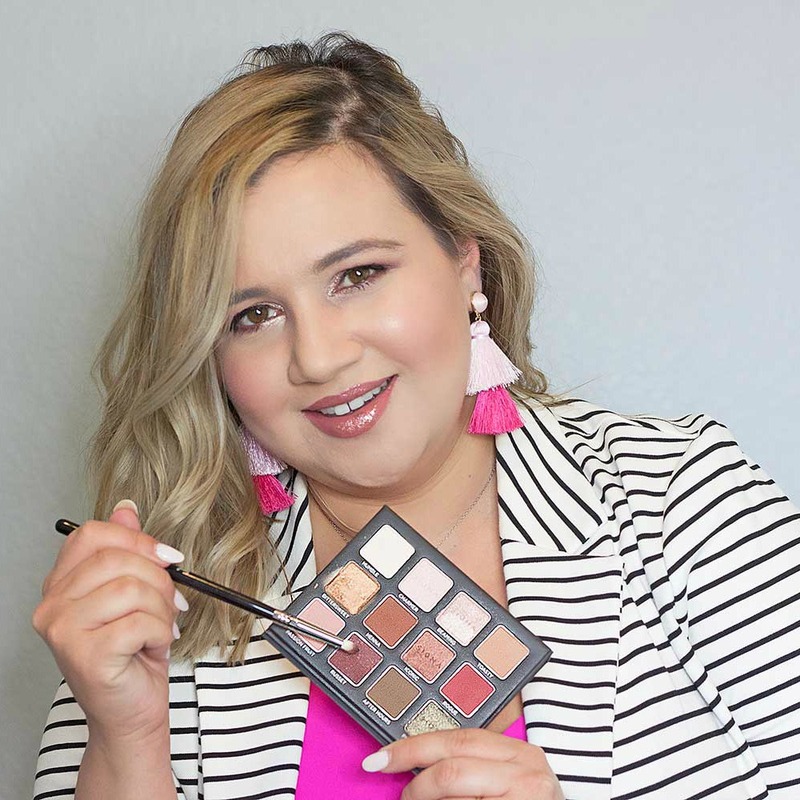 Using the ProFusion Pro Conceal and Contour kit, I mixed the Peach and Orange correctors with my finger and lightly dabbed them under my eyes where my dark circles are most intense. A tiny bit is all you need! 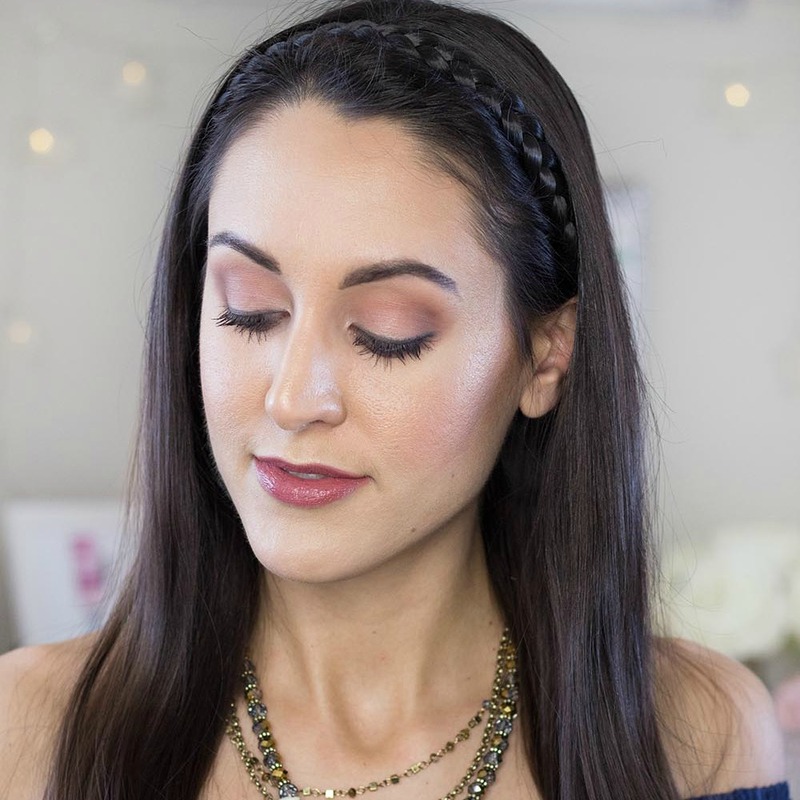 How stunning is this highlight!? I was shocked this product is now at the drugstore – yay! This is the most comfortable liquid lipstick you can get at the drugstore and it’s infused with Rose Hip Seed Oil to hydrate. They do not dry down 100% so they have a flexible, plush, non-cracking look and feel. 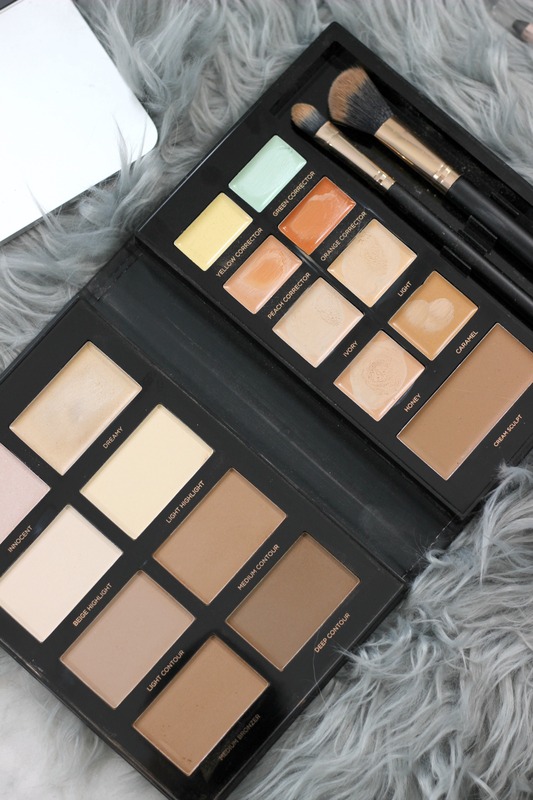 Plus, the shade selection is beautiful neutrals perfect for every day. What do you think of this look? 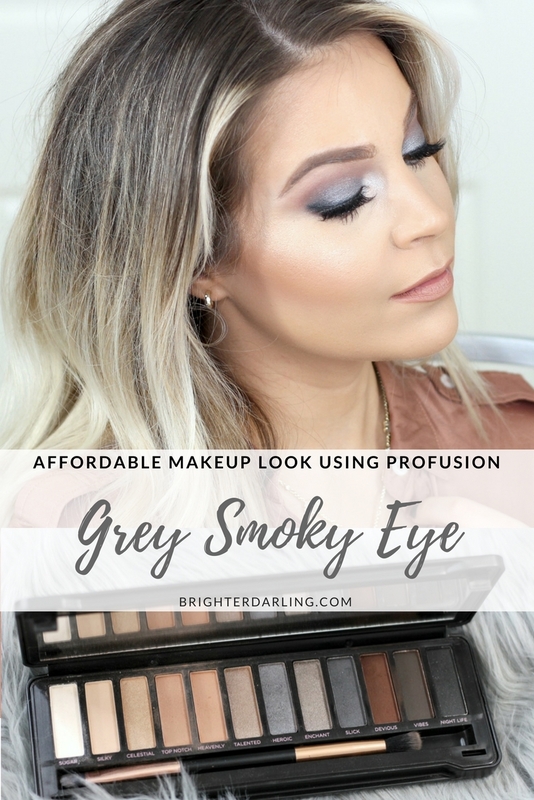 I was surprised a cool-toned smoky eye could look flattering on my more warm/olive complexion, but the great price of the Profusion cosmetics made it fun to experiment! 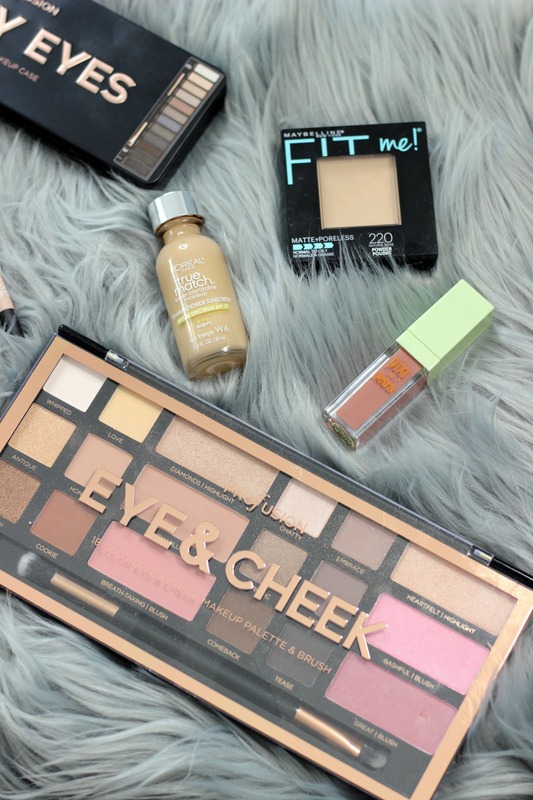 Definitely check out their products next time you’re at your local Target. I plan on trying more very soon. BONUS TIP: If you sign up for Profusion Cosmetics email list on their website, you can get 10% off your first order and items ship free with orders over $25! "Getting Microdermabrasion at Ageless Skin and Laser Center NJ"
"Create A Personalized Facial Serum: Kiehl’s Apothecary Preparations Review"